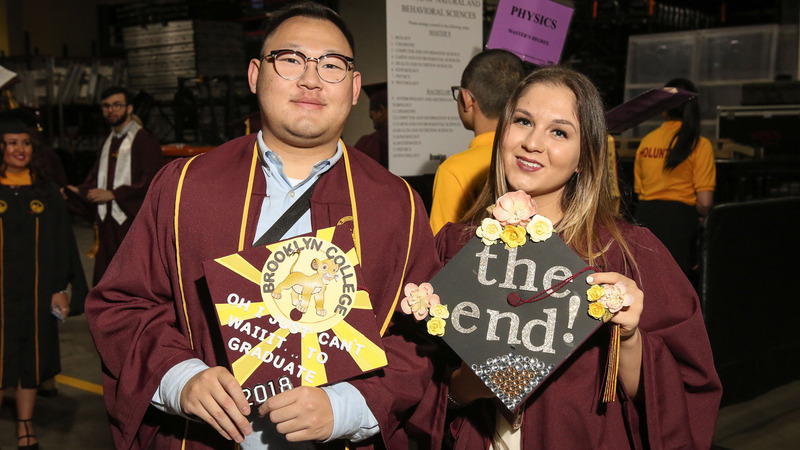 Students topped off their caps with creative designs marking their scholastic achievements. 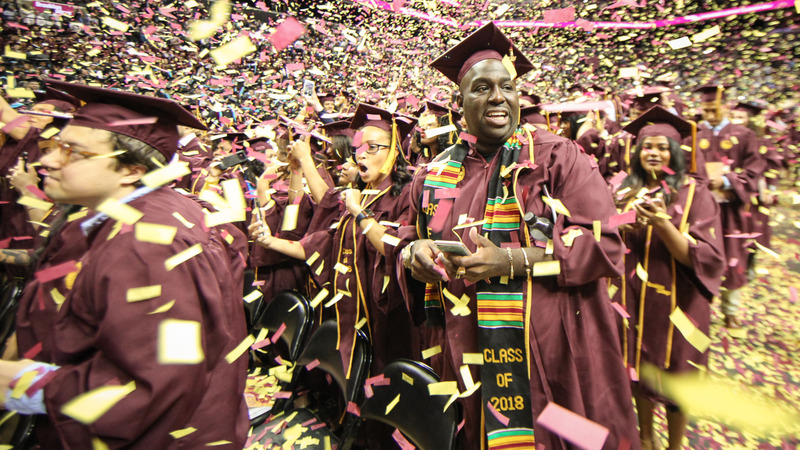 Members of the Black and Latino Male Initiative (BLMI) celebrate reaching a milestone. 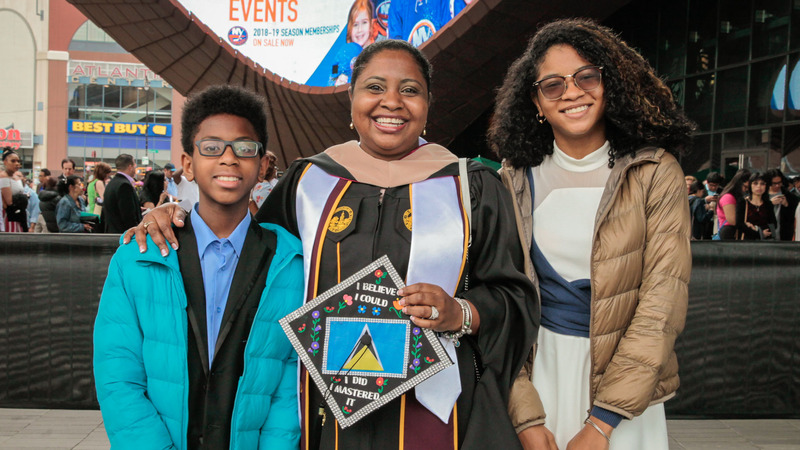 Proud children support their mother, who is receiving her master’s degree. Art student Mercelo Bottaro is pleased to a member of the Class of 2018. 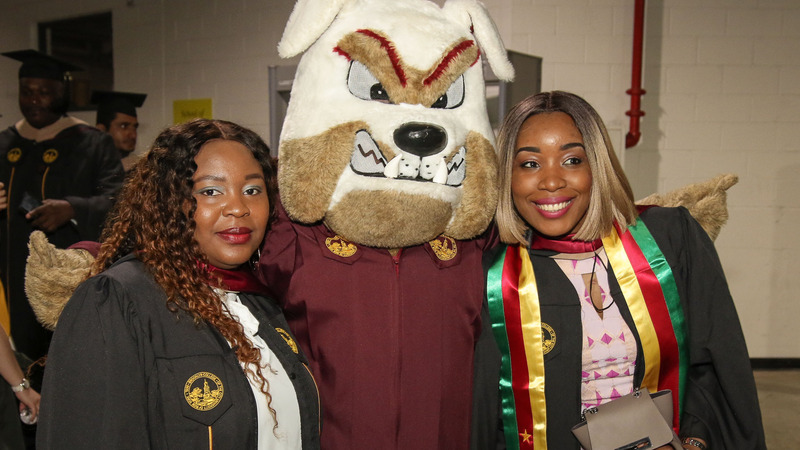 Brooklyn College’s favorite mascot, Buster the Bulldog, poses with happy graduates. We proudly welcome our 50th anniversary alumni from the Class of 1968! 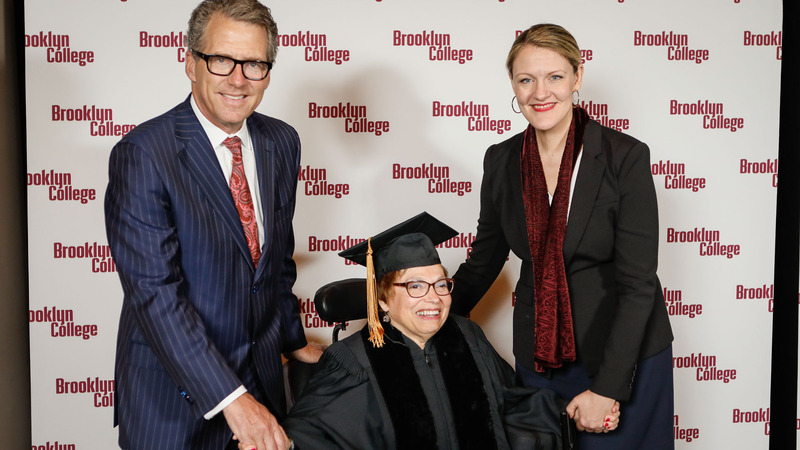 CUNY Chancellor James Milliken and Brooklyn College President Michelle J. Anderson greet keynote speaker, honorary doctorate recipient, and 'mother of the disability rights movement' Judith Heumann. The Distinguished Alumnus Award recipient Roger Hinds '77, head athletic trainer of the NY Knicks, and President Anderson are excited for the ceremony to begin. 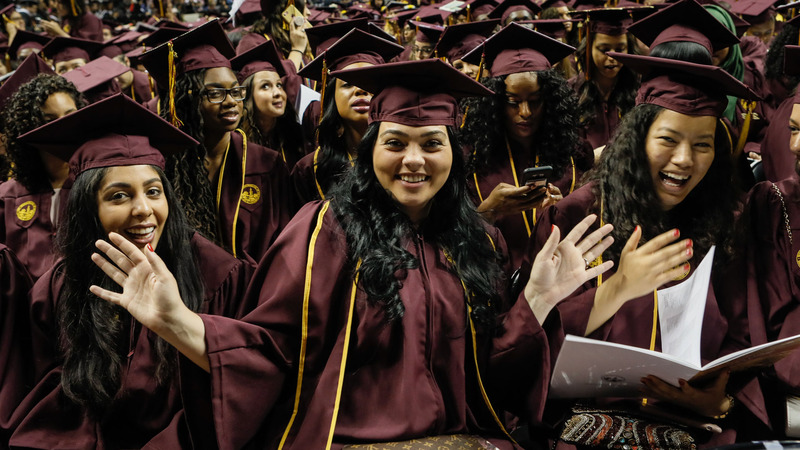 Our graduates begin the march toward the next stage of their success. Judith Heumann, President Anderson, and CUNY’s Interim Vice Chancellor for Student Affairs Christopher Rosa. 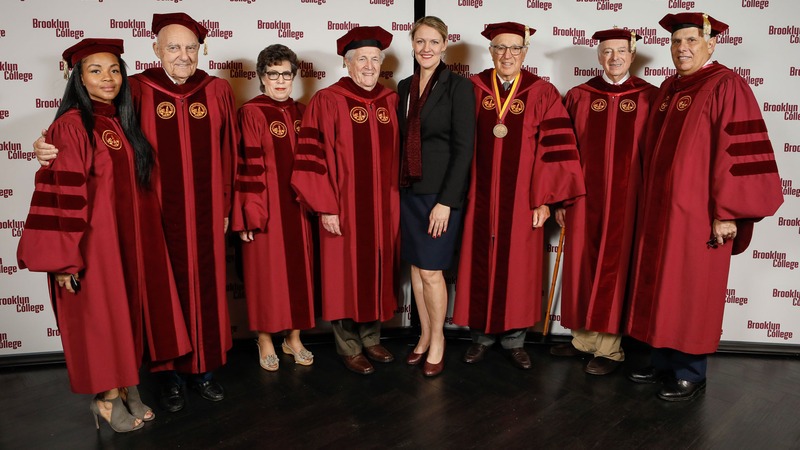 President Anderson (center) poses with members of the Brooklyn College Foundation Board of Trustees. Bright smile for a bright future. 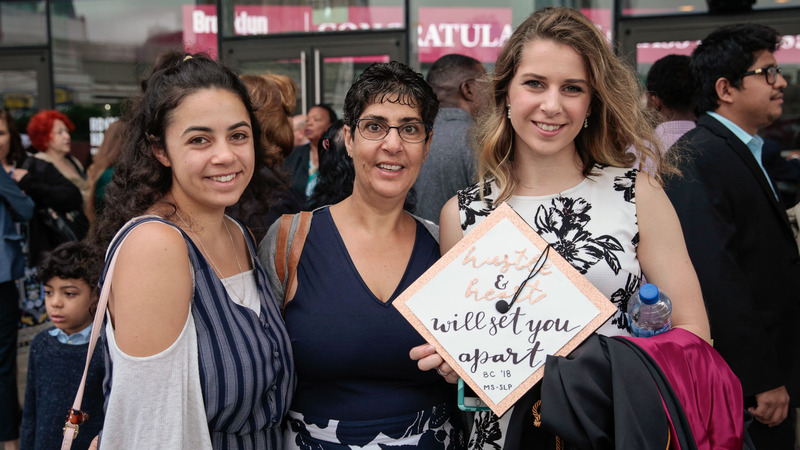 Family and friends fill the seats at #BCGrad2018. 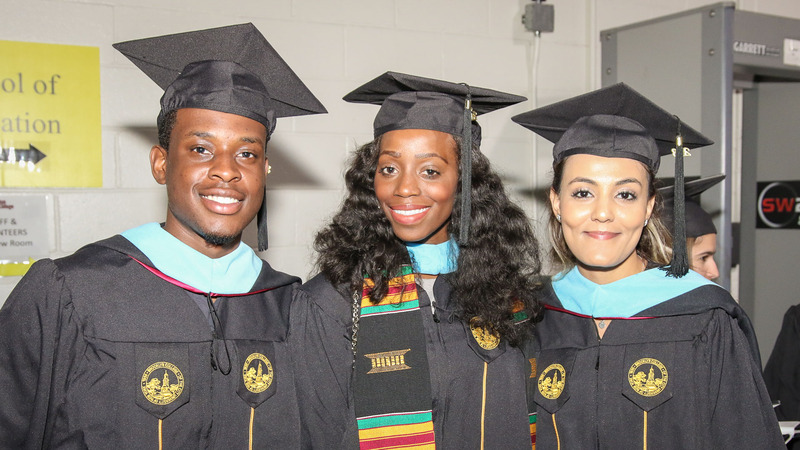 Friends are now master graduates. 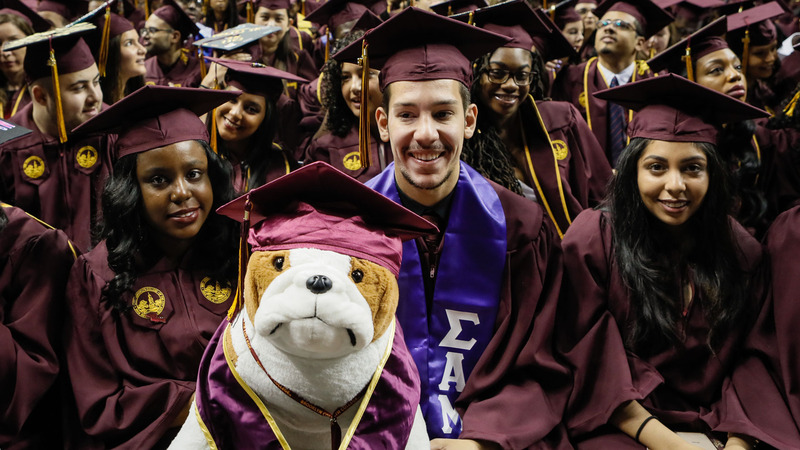 Buster the Bulldog keeps the graduates company. 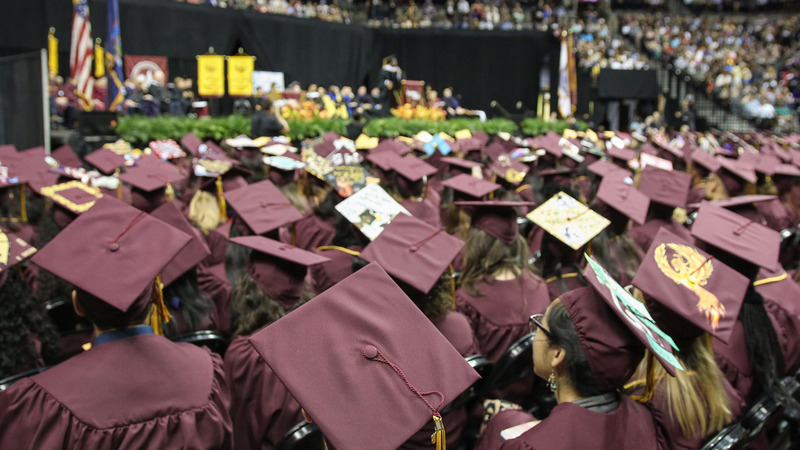 Members of the Class of 2018. 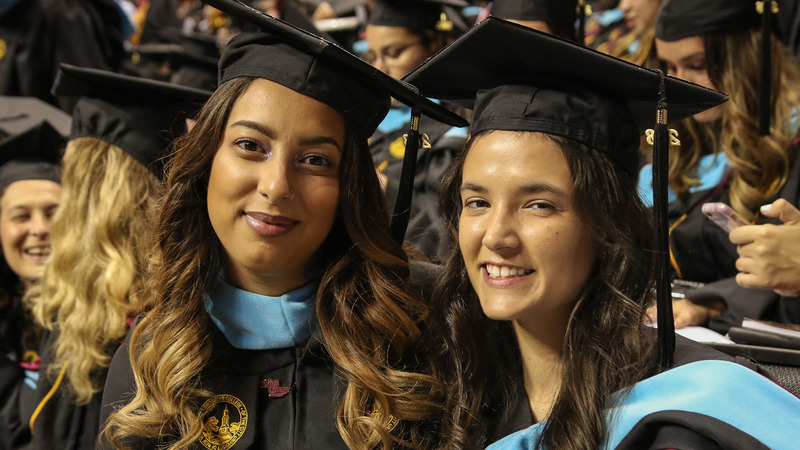 A couple of new graduates. Vice President for Enrollment Management Lillian O’Reilly greets the Class of 2018. President Michelle J. Anderson’s welcome. U.S. Senator Charles Schumer speaks to the Class of 2018. 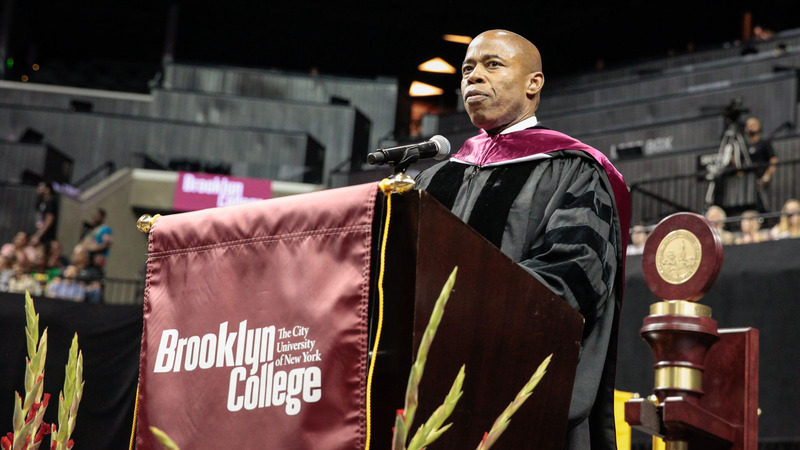 Brooklyn Borough President Eric Adams’ shares his experiences of success. 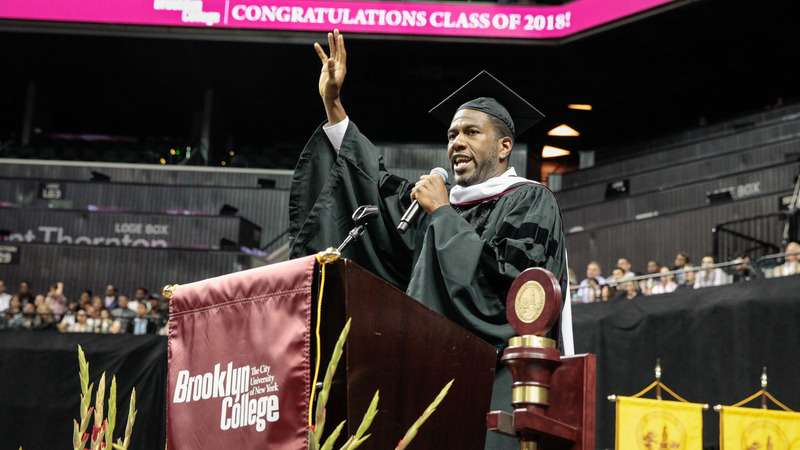 Alumnus and City Council Member Jumaane Williams ‘01, ‘05 M.A. 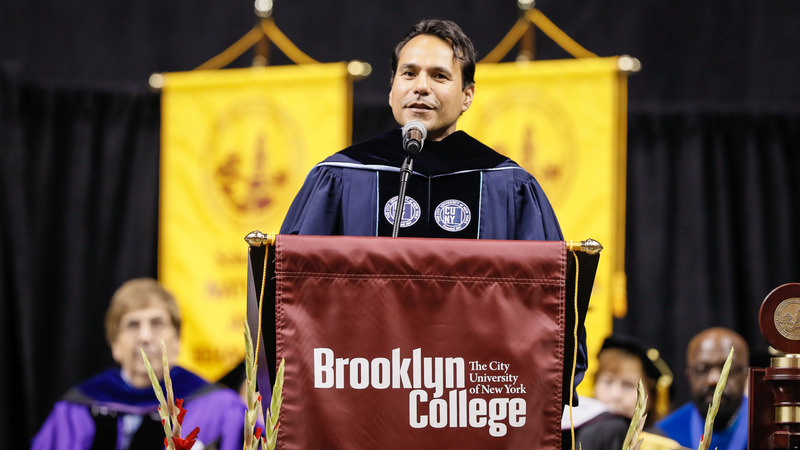 Alumnus and CUNY Trustee Robert F. Mujica ‘99. 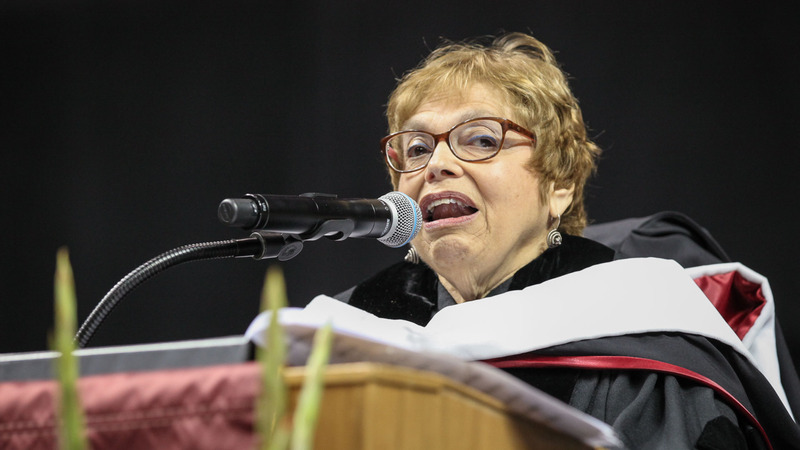 Brooklyn College Alumni Association President Ella Friedman Weiss ‘62, ‘65 M.S.Ed. 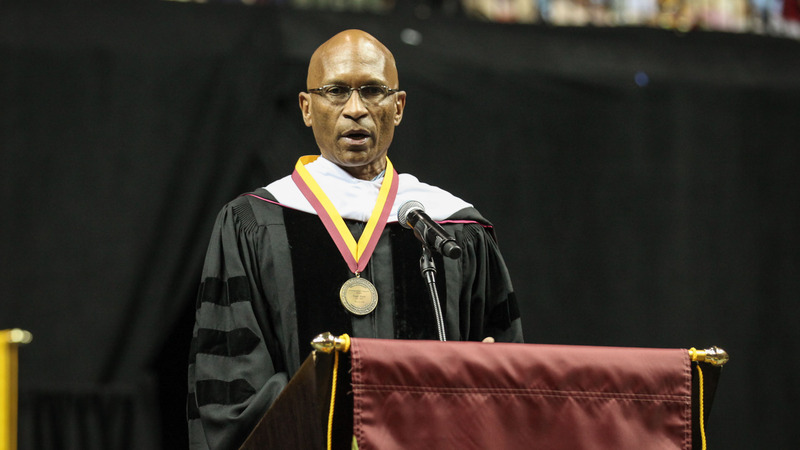 Distinguished Alumnus Award recipient and NY Knicks head athletic trainer Roger Hinds ‘77. CUNY Interim Vice Chancellor for Student Affairs Christopher Rosa. 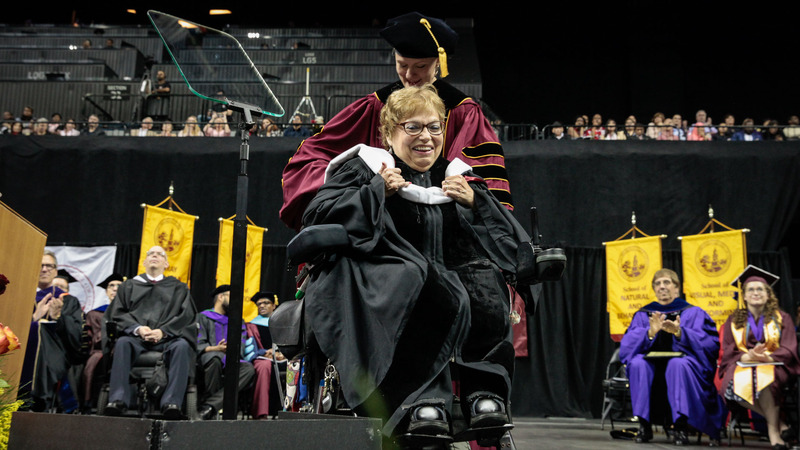 President Anderson presents disability rights activist Judy Heumann with an honorary Doctor of Humane Letters. 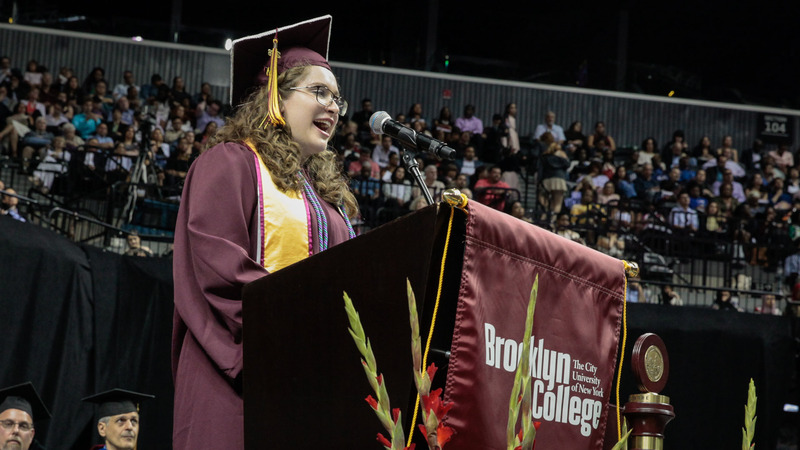 Judith Heumann gives inspiring speech to the Brooklyn College Class of 2018. 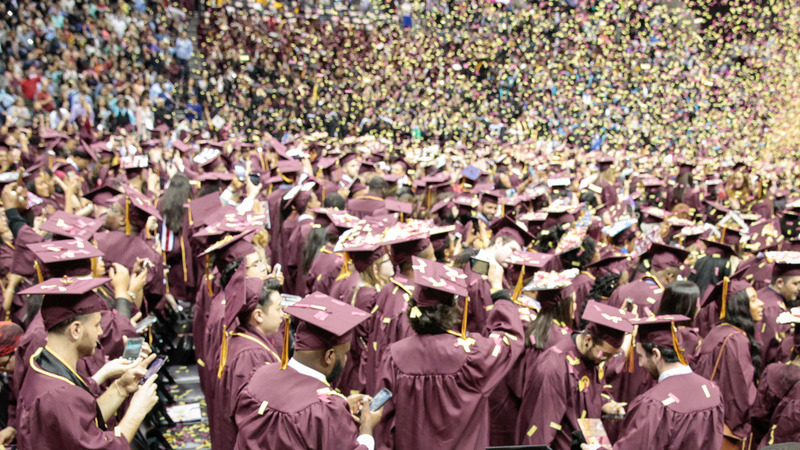 A festive ending to a fantastic Commencement ceremony! 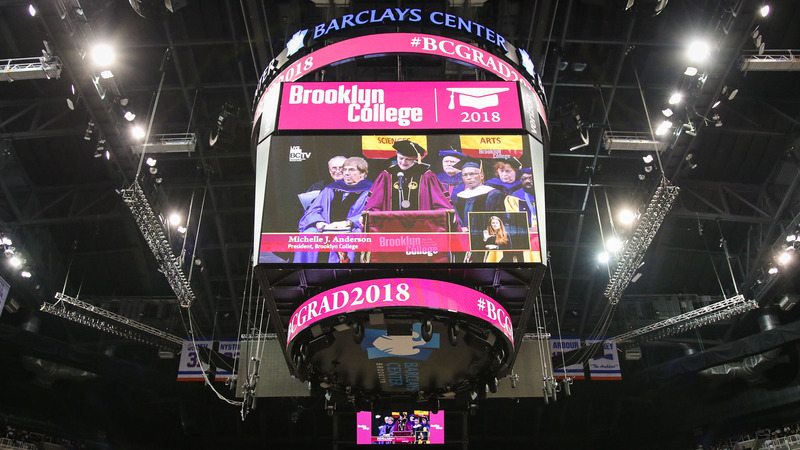 "We know that our diversity is our strength and enhances the academic experience for all," said Brooklyn College President Michelle J. Anderson at the 2018 Brooklyn College Commencement Ceremony, held for the second year in a row at the Barclays Center in Downtown Brooklyn. 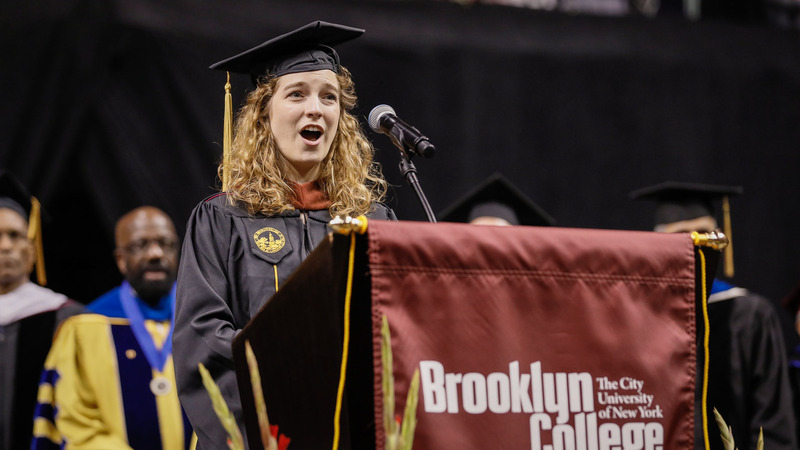 "Studying at Brooklyn College provides our students with the opportunity to engage with difference and complexity, which makes them more inter-culturally competent and willing to assume challenging positions of leadership in the service of others." 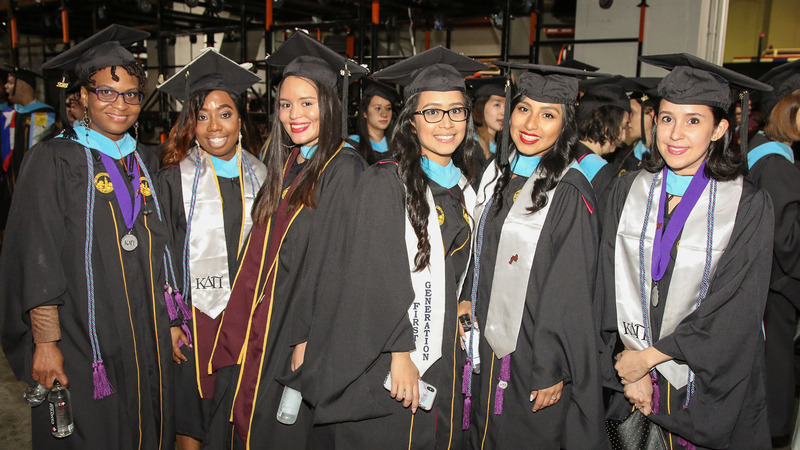 The Class of 2018 was one of the largest in the borough, with more than 4,100 graduates–3,035 baccalaureate, 1,029 master's, and 67 Advanced Certificate students. 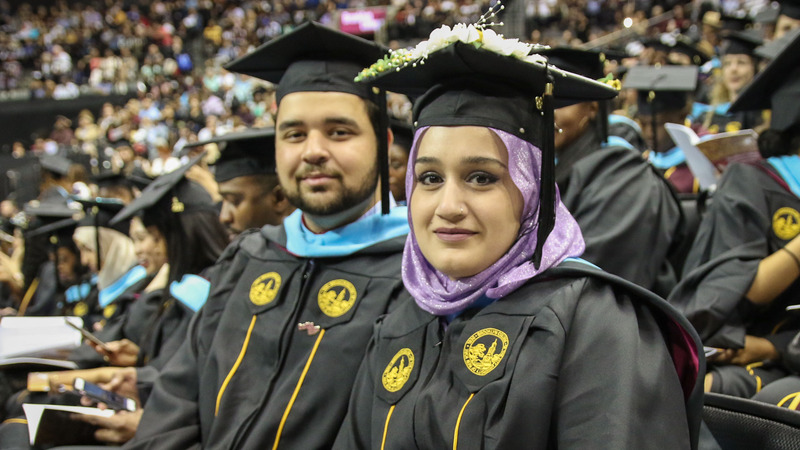 The very diverse body of scholars come from more than 125 countries and speak over 85 languages. Approximately 88 members of the class identify as disabled, and 37 students are veterans or currently enlisted in the U.S. military. 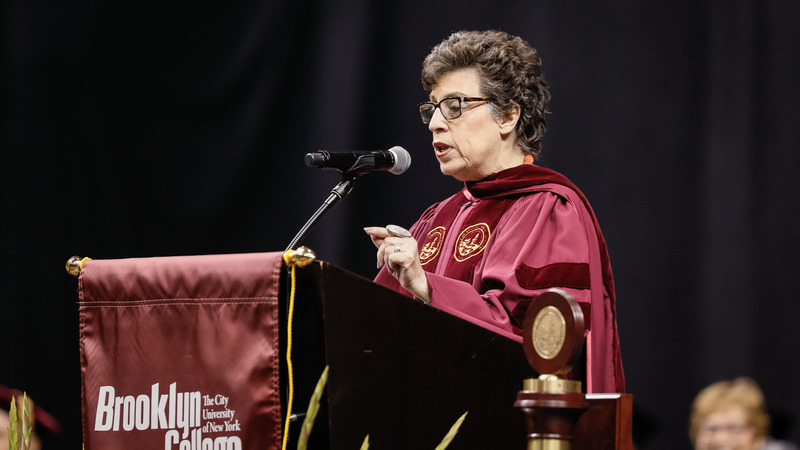 Introduced as a hero and a legend by CUNY Interim Vice Chancellor for Student Affairs Christopher Rosa, disability right activist Judith Heumann gave the keynote address and accepted an honorary Doctor of Humane Letters, presented by President Anderson. Known as the "mother of the independent living disability rights movement," Heumann's work has had a significant impact on the implementation of legislation and policies that benefit and protect people with disabilities. 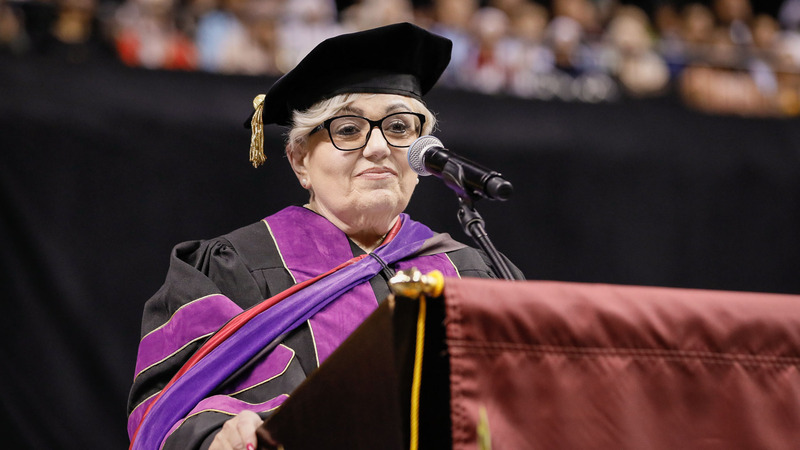 "Without ever planning to, my parents, who had come from Germany and had lost so many family members in the Holocaust, taught me the value of advocacy," Heumann shared. "They taught me that if a situation feels wrong, it probably is wrong. They taught me about the need to join with allies to speak up and, especially, to speak up for equality and rights in the face of discrimination and injustice. Eventually, the time came when I needed to become my own advocate. Some of you would say, 'stand up on your own.' I would say, 'sit up in my own wheelchair.'" Born in 1947, Heumann grew up in Brooklyn, New York. Her parents were German Jewish refugees who came to the United States in the 1930s. In 1949, Heumann contracted polio, resulting in her being a quadriplegic and using a wheelchair for mobility. The New York City Board of Education deemed it sufficient to provide Heumann with only 2.5 hours a week of home education until the fourth grade, at which time she was allowed to go to P.S. 219 special education classes. Heumann's mother and other mothers banded together to force New York City's Department of Education to make some of their high schools accessible. In 1970, Heumann became the first public school teacher in the New York City system to use a wheelchair. During the Clinton presidency, Heumann served as assistant secretary of the Office of Special Education and Rehabilitation Services in the Department of Education. She then served as the World Bank's first adviser on disability and development, and was also the director for the Department on Disability Services for the District of Columbia. In the Obama administration, she was appointed as the very first special advisor for International Disability Rights in the U.S. State Department from 2010¬2017. She continues to advocate on behalf of disabled people globally, participating in protests and giving lectures, including a popular TED Talk titled "Our Fight for Disability Rights and Why We're Not Done Yet." Recently, she was the featured subject of Comedy Central's very popular web series, Drunk History. "Here's this immigrant from the West Indies, who has lived his dream of working in the NBA for 24 years, and talking to these stars, all these stars, the future leaders of this country. 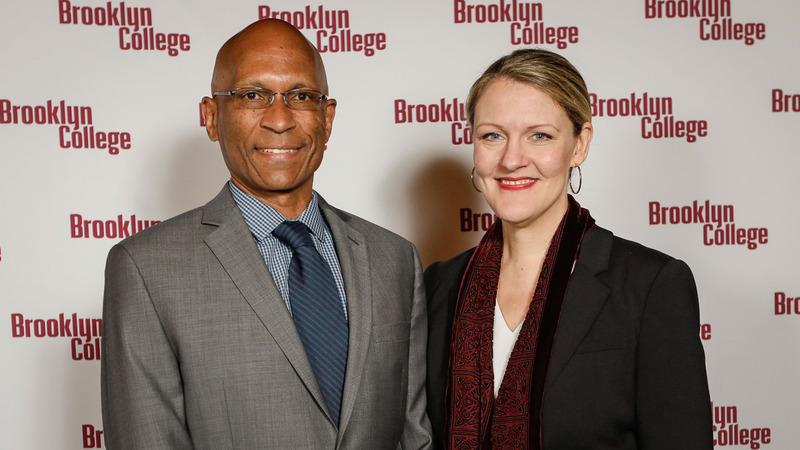 This is what makes America great," said NY Knicks Head Athletic Trainer Roger Hinds '77, this year's recipient of the Distinguished Alumnus Award. Quoting Norman Vincent Peale, he continued, "'Shoot for the moon. Even if you miss, you will land among the stars.' I'm in the midst of stars. 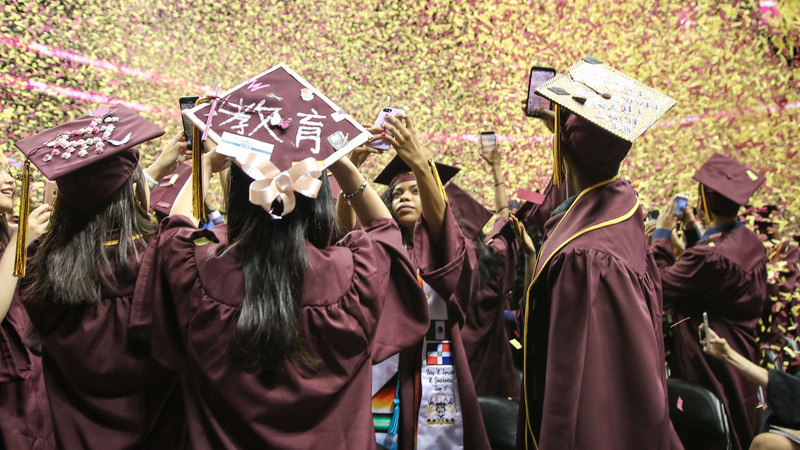 Chase your dreams, graduates." Hinds been an athletic trainer for some of the most well-known athletes in basketball. Born in Port of Spain, Trinidad, Hinds moved to Brooklyn with his parents and five siblings at age eight. He earned a Bachelor of Science in physical education from Brooklyn College in 1977. Hinds was the strength-and-conditioning coach for the gold-medal-winning U.S. Olympic Team at the 1996 Atlanta Games. He is the contributing author of two books: Condition the NBA Way (Cadell & Davies 1994) and Total Fitness the NBA Way (Perennial Currents 2000). Currently in his 24th NBA season, Hinds spent four seasons as assistant athletic trainer and strength-and-conditioning coach, for the Atlanta Hawks; eight years as the head athletic trainer for the Dallas Mavericks; and also served as host athletic trainer for the East squad at the 2015 NBA All-Star Game at Madison Square Garden. He is entering his 14th season as head athletic trainer for the Knicks. Hinds is just the sixth head trainer in the franchise's 70-year history, joining Jim Nevins, Don Friederichs, Bill Norris, Danny Whelan, and Mike Saunders. 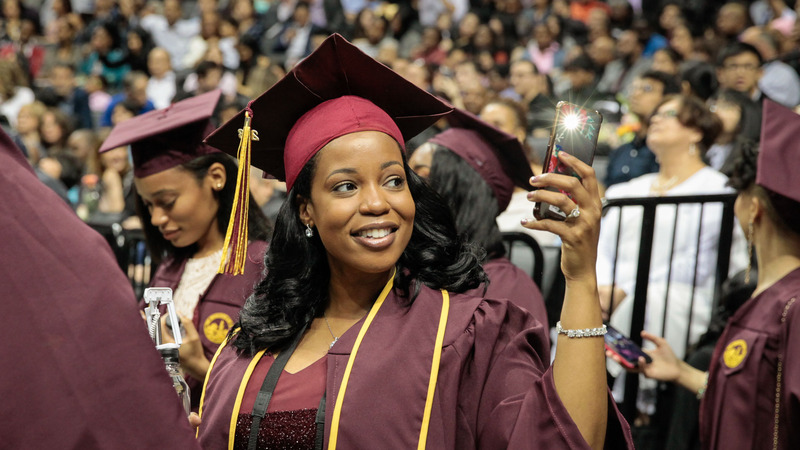 Hinds is also an active Brooklyn College alumnus. 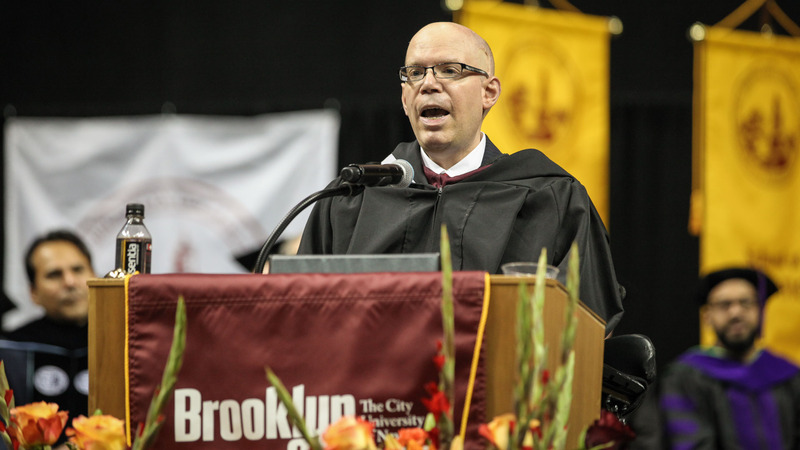 Since 2016, through an alliance with the Magner Career Center, he has taken time to guide current Brooklyn College students as well as high-school seniors in the Brooklyn College Academy, and provide them with the benefit of his industry expertise through class visits, panel discussions, and career mentorship. 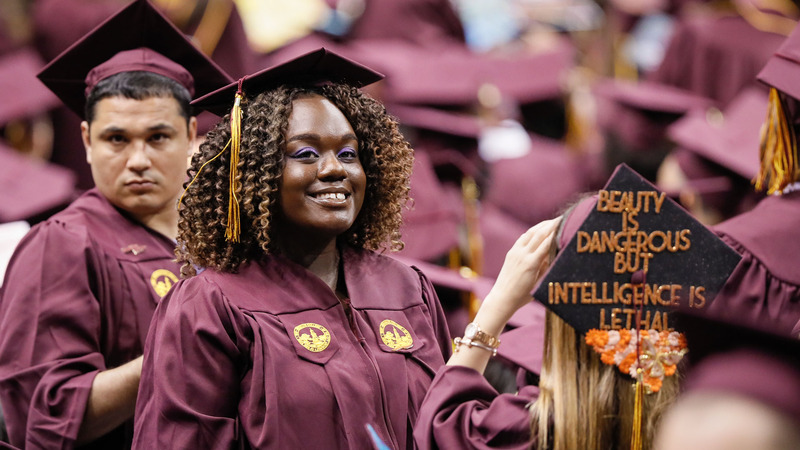 The valedictorian of the Class of 2018, William E. Macaulay Honors College Scholar and English education major Margaret Iuni, inspired the audience by sharing a hopeful philosophy and challenging to audience to reach for the highest of common goals. 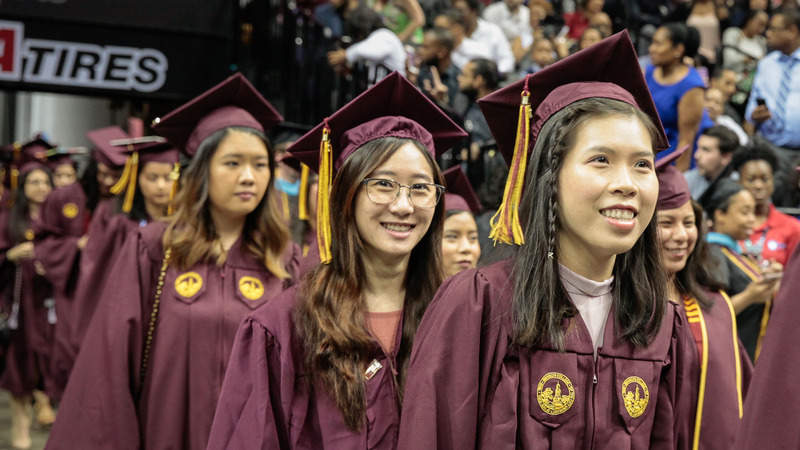 "We are more likely to believe that our individual success is determined by our own hard work than citizens of nearly any other country in the world," she said. "The narrative of individual achievement without the assistance of others is a fiction that persists in American culture. We cannot and will not succeed without one another." She continued: "Together we can be fearless, we can be confident, and we can learn. We can create communities that foster individual growth without forfeiting our need for human connection. 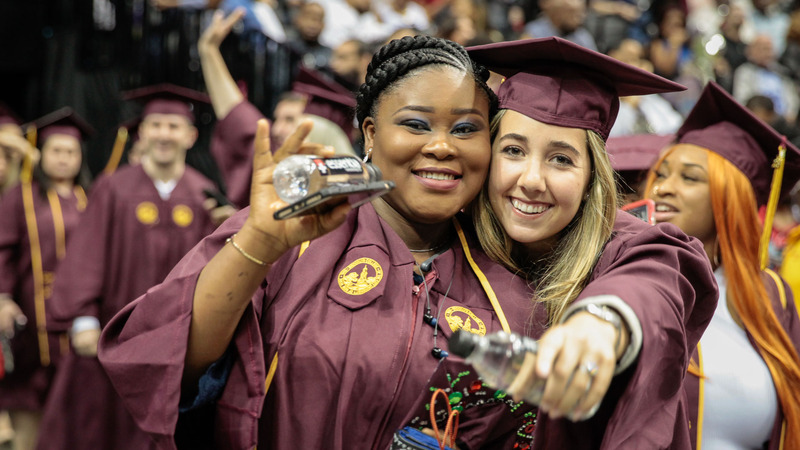 We can take the meaningful relationships we have forged over the years we have spent at Brooklyn College and help redesign our world to be a more unified and filial one. Remember the words of the American poet, author, and teacher Gwendolyn Brooks: 'We are each other's harvest; we are each others' business; we are each other's magnitude and bond.'" The theme of inclusiveness and triumph continued throughout the day. 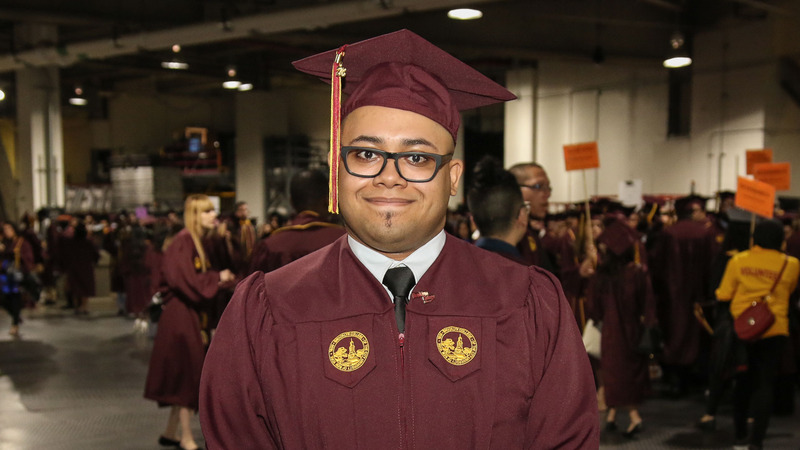 "My first bit of activism on the Brooklyn College campus was a small organization called S.O.F.E.D.U.P., having Tourette's syndrome that meant a lot to me. 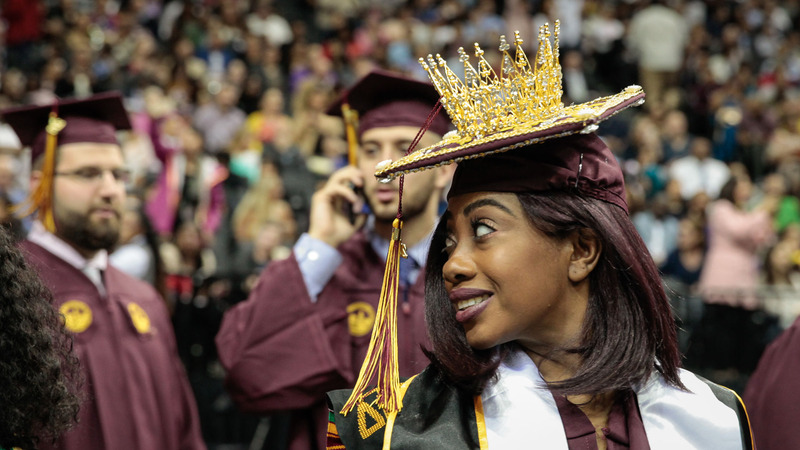 So thank you for your work," said New York City Council Member Jumaane D. Williams '01, '05 M.A. 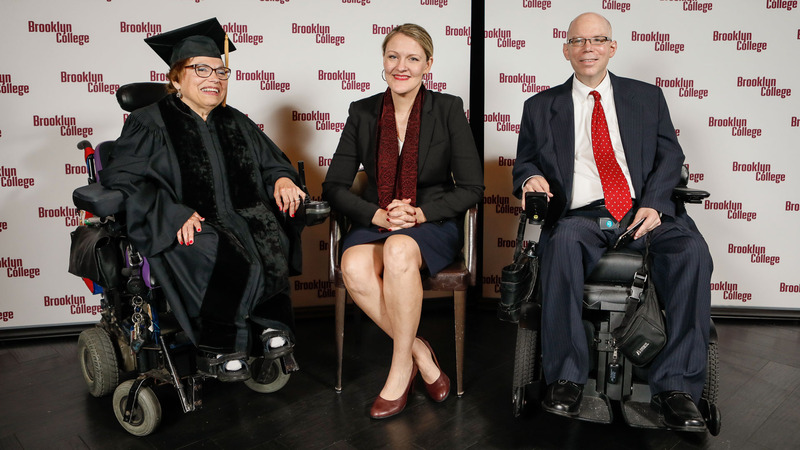 "Some of my proudest achievements are my Brooklyn College degrees. This is the best education I could have gotten. 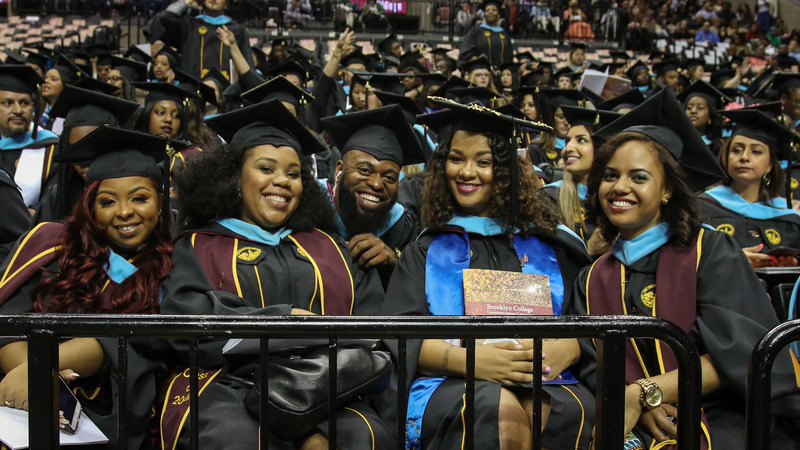 The education I got inside and outside the classroom was simply amazing." Brooklyn Borough President Eric L. Adams shared: "They told me I could not be a captain in the police department; I became a captain. They told me I couldn't be a state senator; I became a state senator. They told me I couldn't be the first person of color borough president; I became borough president. In three years they say I can't be the mayor; I will be the mayor. 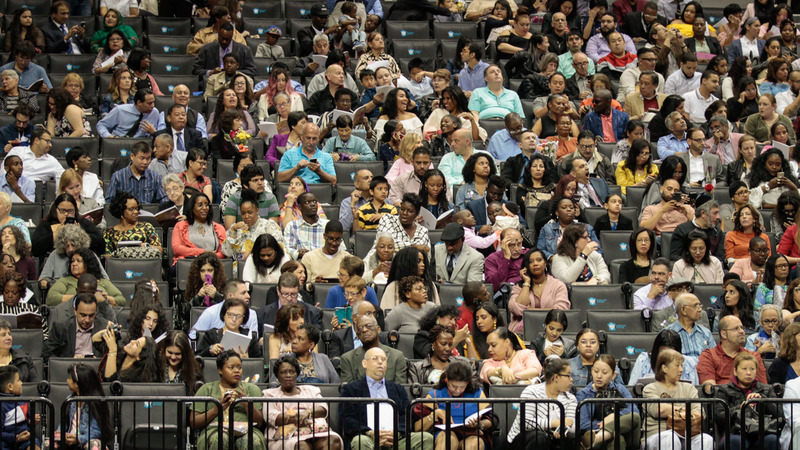 There are only two types of Americans: those who live in Brooklyn and those who wish they could." 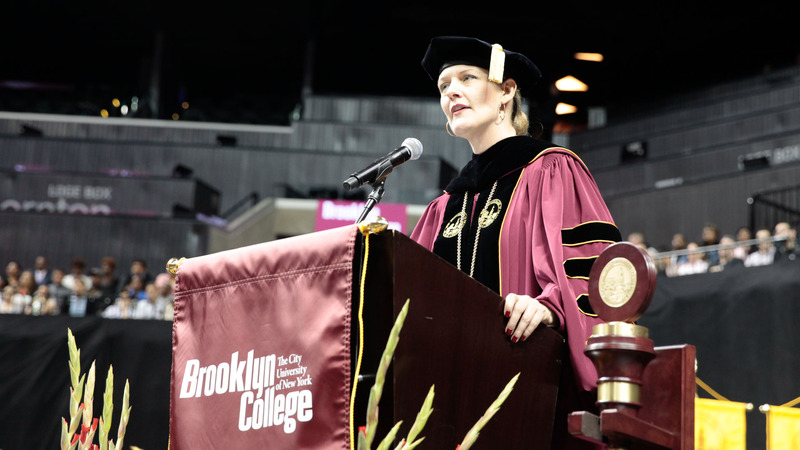 During the conferral of degrees, Brooklyn College Provost and Senior Vice President for Academic Affairs William A. Tramontano called for a moment of silence to honor Jean Rovenel Joseph. Joseph, who majored in kinesiology and was anticipating graduating with his fellow students in the Class of 2018, passed away suddenly last week, stunning and saddening the entire campus community. 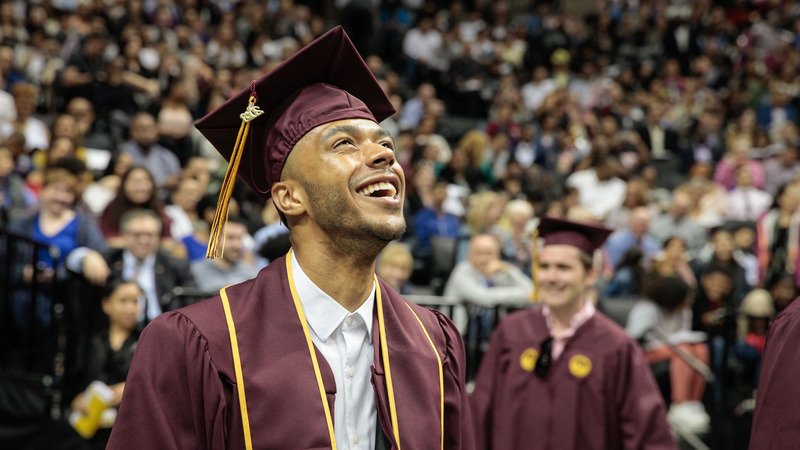 His bachelor's degree will be awarded posthumously. 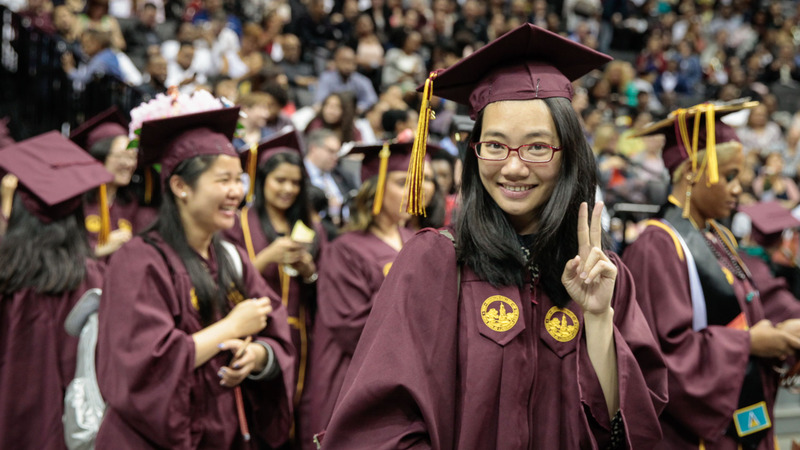 Other distinguished guests and speakers included outgoing CUNY Chancellor James B. Milliken, U.S. 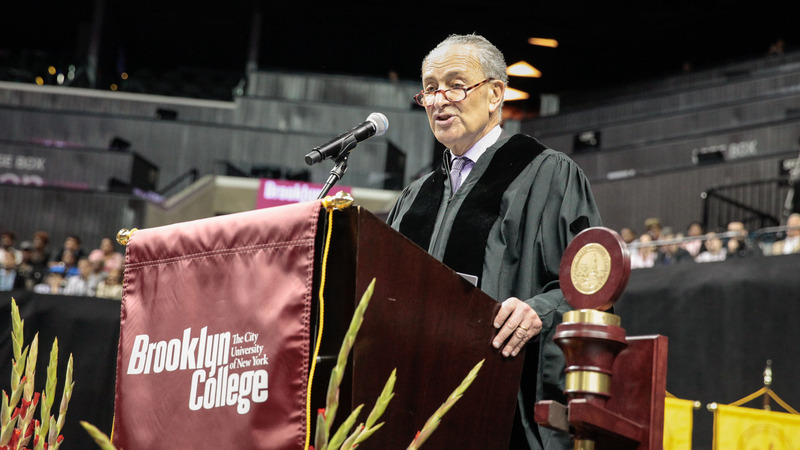 Senator Charles Schumer, and members of the Brooklyn College 50th Anniversary Class of 1968, Brooklyn College Foundation Board of Trustees, and Brooklyn College Alumni Association. 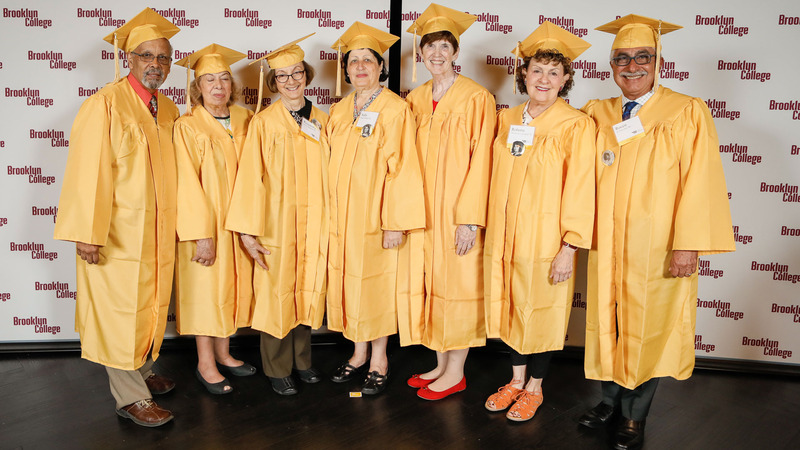 Additionally, 106-year-old Ethel Lagarenne Hagquist '32, the sole surviving member of Brooklyn College's very first graduating class, filmed a message for the newest members of the BC alumni family, providing keen advice and well wishes for the future. 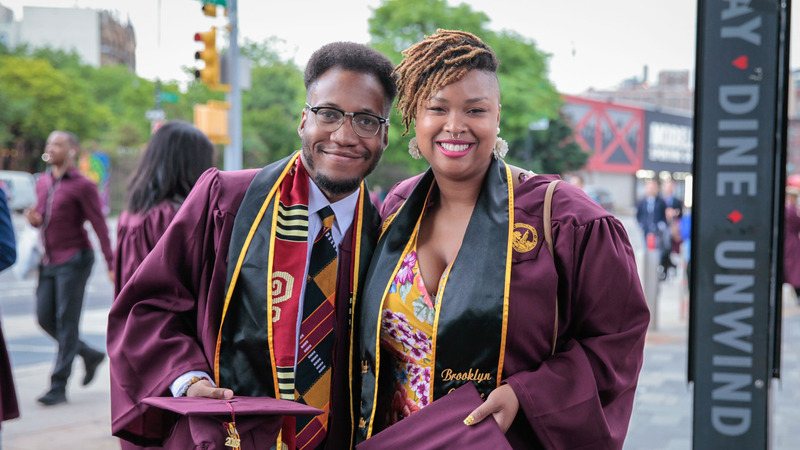 For more on Brooklyn College's 2018 Commencement Ceremony, follow the hashtag #BCGrad2018 on Facebook, Instagram, and Twitter.